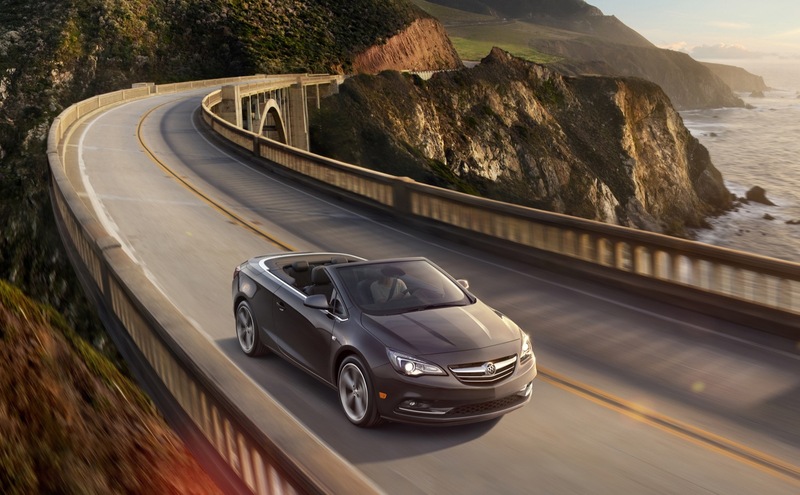 Buick is adding a dose of fun to its lineup with the 2016 Cascada convertible. Yes, you probably have heard the name before, and you may even be familiar with the vehicle itself. 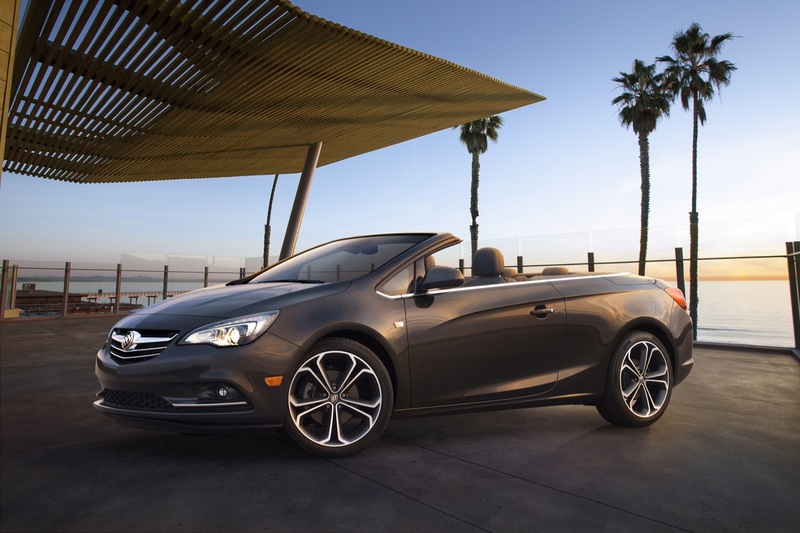 This is because the 2016 Buick Cascada is pretty much the Buick Excelle/Buick Verano/Opel Astra-based Opel Cascada sold in Europe. 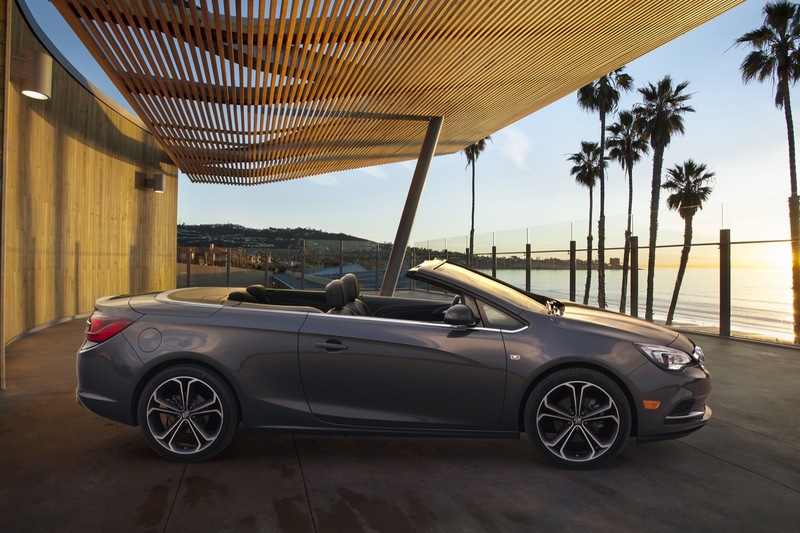 And it not only represents the first Buick convertible in 25 years, but it also debuts the potent 1.6L turbocharged four-cylinder engine in America that Europe has been enjoying for the past year or so. 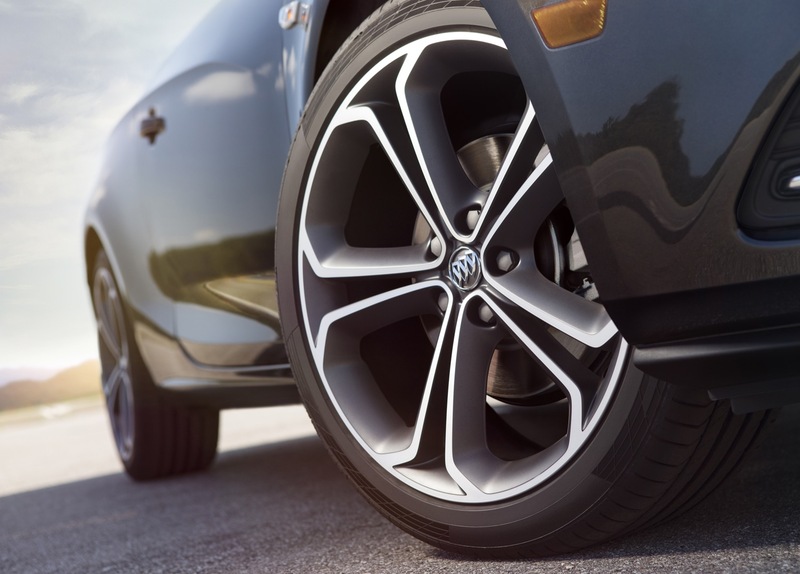 This means the 2016 Buick Cascada sends its 200 horsepower and 206 foot-pounds (221 ft-lbs) via a six-speed automatic transmission to the front wheels, which feature a HiPer Strut front suspension system, complimented by a Watts Z-Link rear suspension. This should provide an entertaining driving experience, top up or down. The roof is a canvas top, which can lower in 17 seconds with speeds of up to 31 mph. 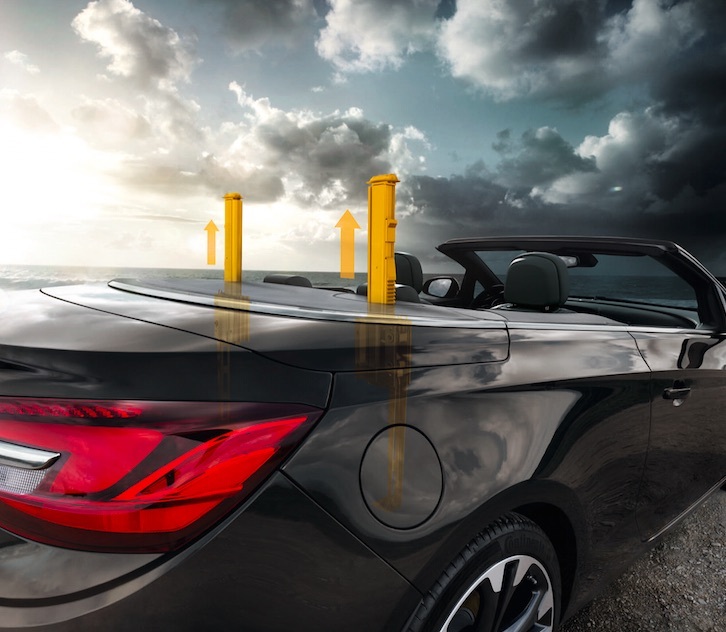 Buick assures the 2016 Cascada canvas roof features superior thermal and acoustic insulation than what people may be used to. 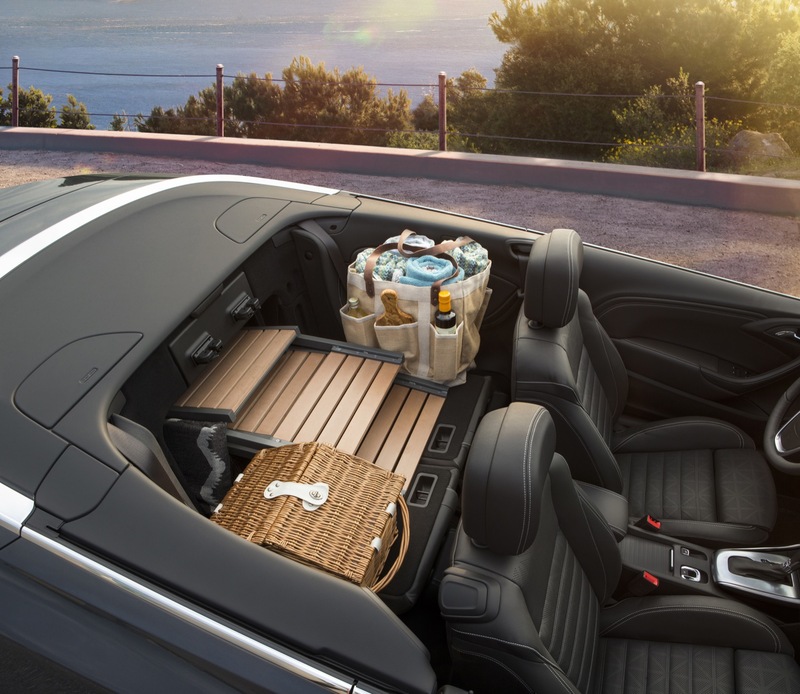 In the sense of practicality, the 2016 Buick Cascada offers up 13.4 cubic feet (380 liters) of cargo room with the top up and 9.8 cubic feet (280 liters) with the top down. Creature comforts are served with the familiar and well-received Buick IntelliLink with a seven-inch-diagonal color touch screen featuring Text Message Alerts, Siri Eyes Free for Apple phones with the iOS 6 or newer operating system, and a navigation system. Then there’s the ubiquitous OnStar 4G LTE with Wi-Fi, and a plethora of safety features. No talk on pricing yet, but look for more on that when the car goes on sale in early 2016… a whole year from now. 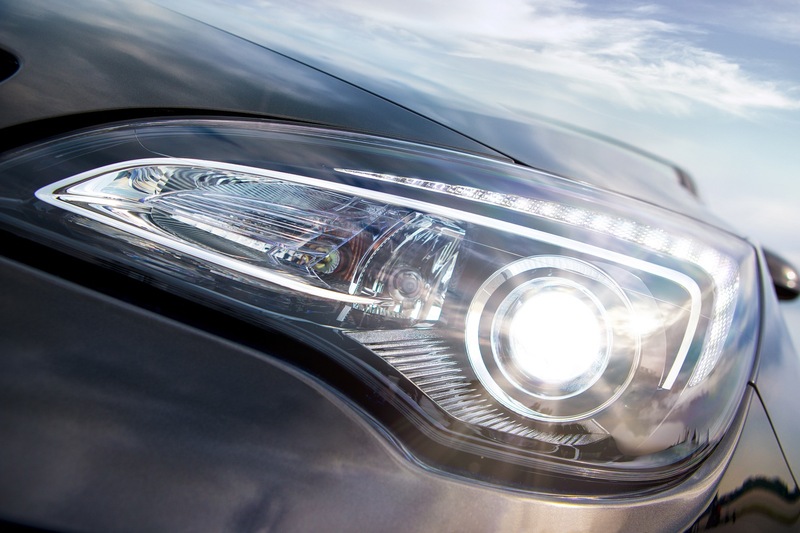 I was wondering when looking at the Opel how the waterfall grille was going to be applied. The nose wouldn’t have suited it this grille looks amazing along with the whole front end. Are you sure that these are rear Buick shots, and not just recycled Opel shots. I can’t see if it’s a tri-shield or thunder bolt. Personally, I love the ironic use of the name Cascada for a brand so focused on the waterfall. I’m guessing the delay of getting Cascada to N America pertained to upgrades. I also remember hearing that the car was not originally Federalized. The one year lead tells me that GM does not have huge sales expectations. This car is a spot holder. An effort to up European capacity. Opel might break even sooner if all Opel-based Buicks flipped to EU production. Nice that the US is getting it, but why in the he– do we have to wait another year. These extremely long leads are getting ridiculous GM. I like the engine choice too, probably wont be a rocket with3800+ lbs. to carry around. My other issue is — 6 speed automatic?!? This machine is heavy? what cars you are comparing. What data are you using cars compared. Somewhere I read the page correctly, the machine will hit the market in August or was in March, and then I thought, too, that it’s probably after the summer. I could be wrong but I have a couple of days this activity seriously kept an eye on as exciting. I do not remember this. Yes it is heavy or only 200 HP. I like they are offering it and it looks great but we will see very moderate sales here. For what it cost a Camaro V6 convertible will make a much more appealing option. This is a car that will do Buick no harm but it is no where near a make or break car for Buick. The real cars that will show impact will be the new Lacrosse and Regal replacements. As well as the Monza bases car. This will appeal to those who are ready to replace their G6 Convertible professional female demographic. That is if they have not already bought an Audi or VW. only 200 horsepower ahhaaa. Ok. I’m trying to talk lüidalt. I say that this car is not difficult but it certainly could be considered less. And so I say to all cars. This is a 1.6 engine and 200 horsepower. Nowadays engines are going smaller and larger capacities. All new machines will be increasingly easier. Whenever the machine can be considered less. New machines peavadki least consider the future. If you compare any specific things to watch out for it. If you compare different cars will be assured that the machine belongs to the class and use accurate data. And try as compared to a similar condition, machines. All this is very important because all the accessories weighs. class of machine. engine power. engine size and power. The dimensions of the machine. weight of the machine. In the model of the machine or to the generation and so on. The interesting story of weight. People are reading it right, and I think the media is causing all sorts of media stories and tales may swell, and whether they are big stories are always good and right ….? Be sure to have the weight come talk Opel Astra J OPC. I’ve also heard it and researched. Opel Astra J OPC is not heavy weights. Opel astra opc j the weight, size and the power of faith is even better than RENAULT MEGAN RS. Who knows what the machine is a renault megan rs then you’ll understand. Astra VXR was probably even higher than the 5-door Focus ST.
Astra OPC is a very big machine in all its dimensions and interior. But less weight would be even better, of course. I can not be bothered to look up all the data again. PEUGEOT 1.6 l engine 271 hp. you still know that the market is a different machine classes and cars. V8 5 liter 400 hp rwd people want.This is all great but understand that there are a variety of car enthusiasts, as well as a variety of cars. in fact, can also official astra 320 hp. Irmscher. these cars are pretty hard to classify classes. Some machines have a new generation. Cascada is difficult to classify today. Some machines have only come to the new generation. He’s not quite golf class, and it is not a pretty Audi A5. audi a4 cabrio. But is difficult to classify the machines of today. Machines have changed and different classes have been added to the machine. machinery dimensions are changed. small appliances which should be no longer small in size. It is important that each person will get a car like that to him. You think they have enough buttons for the infotainment/climate controls?!? Did nobody tell them that the controls in the regal were awful with that many buttons?!? Also, does anyone else feel like this is old gm creeping back?? This will sell well in my market, Florida. The Chrysler 200 convertible sold well here and now it’s gone. 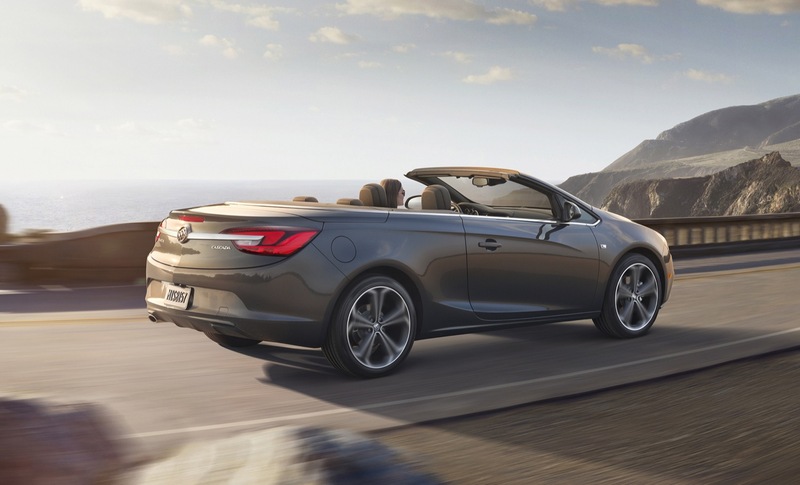 This Cascada looks great to me and I’m glad they didn’t put a Buick grill on it. pathetic,,. looks 10x worse than solstice or sky. 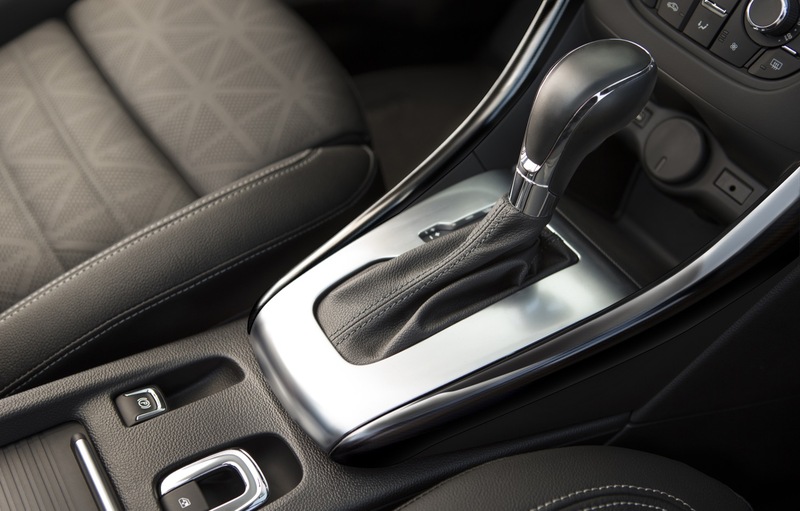 It appears, from all of the youtube videos I’ve watched that although the Cascada will have an automatic top, you still have to hold the switch when raising and lowering it. 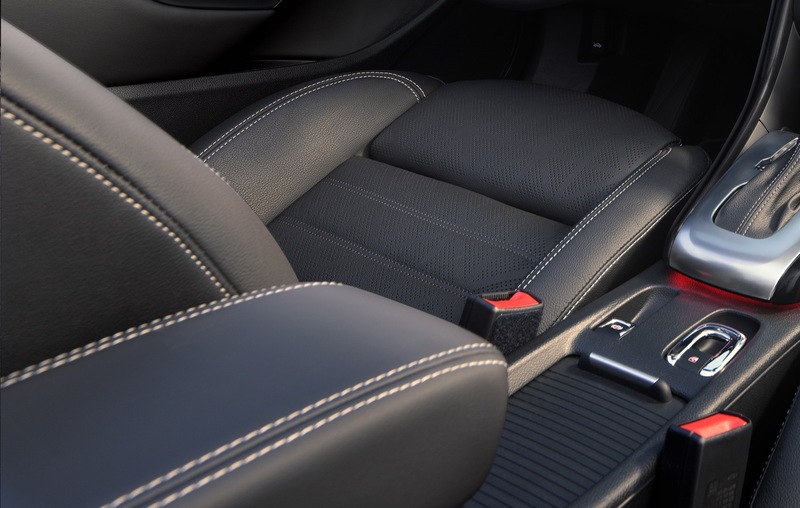 The key FOB will remotely raise and lower the top but doing it from the inside will apparently require holding the switch – just like on the 5th Gen. Camaro Convertible – bummer. Perhaps I’m wrong on this? Also glad to see that it (probably) won’t have the “waterfall” grill. Have never been a fan of it. The encircled tri-shield presents very nicely without the “waterfall”. One my biggest concerns is that it’ll be under powered and available only with an automatic transmission – initially, at least. If it were to come with a 250+ hp engine, I’d probably trade my 5th Gen. Camaro ‘vert for it. My Saturn AURA XR goes off like a rocket with its auto trans and 252 hp (although it is a V6). 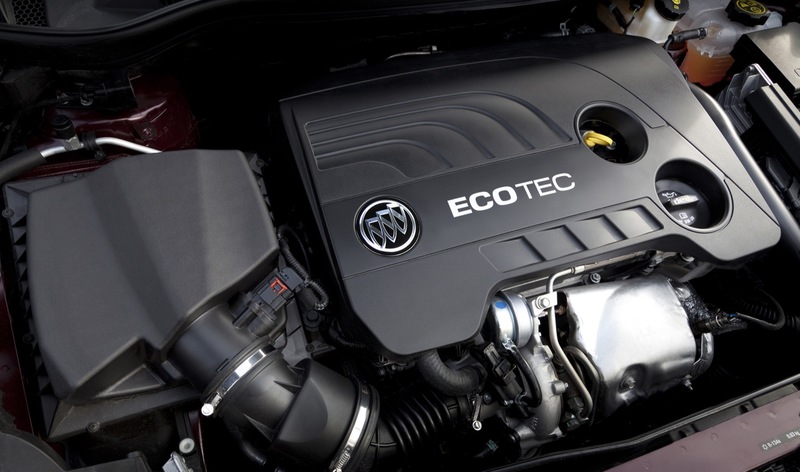 I’ll probably wait a year or two to see if Buick will offer other engine and transmission choices. Seems as though there will be plenty of options available. Heated (and cooled?) 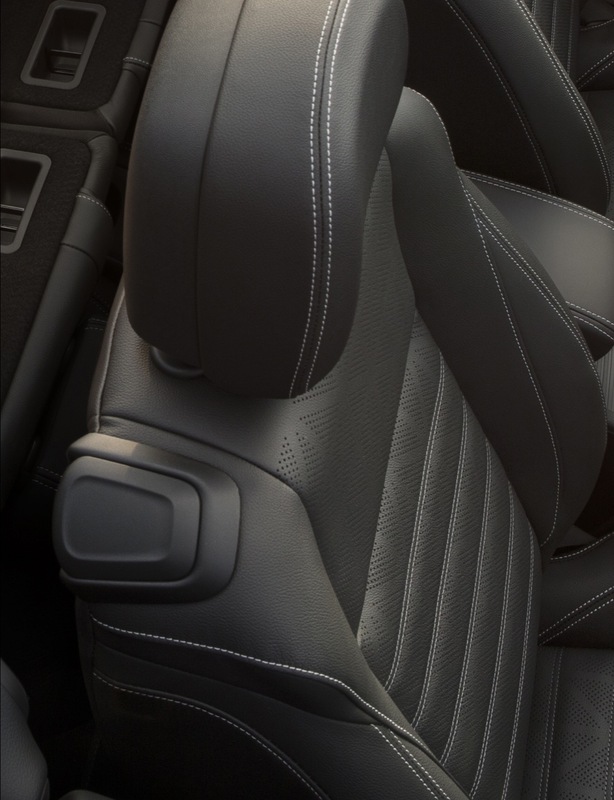 front seats, heated steering wheel, the “corporate” steeing wheel, seat belt presenters, safety packages such as forward collision warning, blind spot warning, rearview camera, bluetooth and navigation. 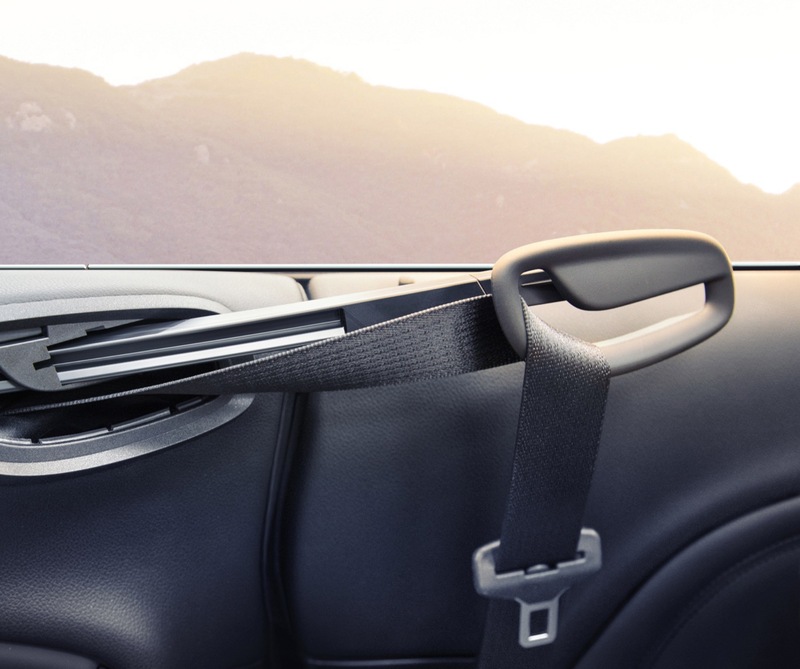 Rear seats can be folded down from the trunk electronically with the push of a button. Electronic parking brake. Push button start / stop would be nice but doesn’t seem to be in the cards. 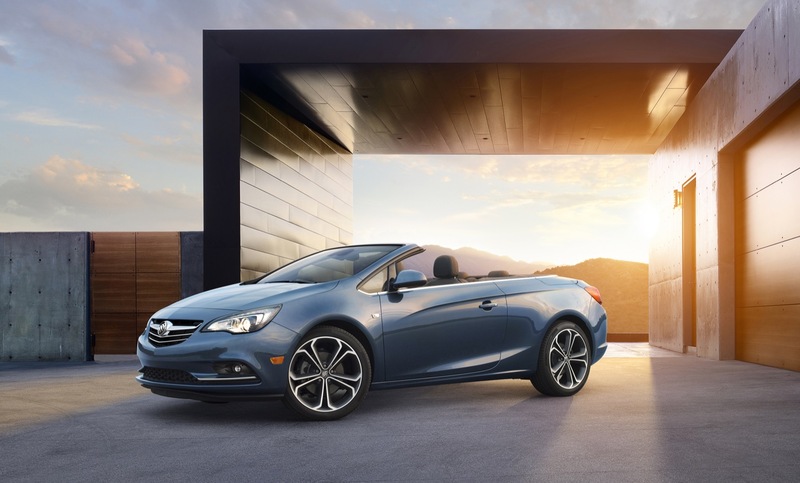 Anyway, for those of you who are just as excited as I am about the Cascada, you can build your own on http://www.vauxhall.co.uk/vehicles/vauxhall-range/cars/cascada/configurator.html#trim and see some of the colors and options currently offered in the UK. Love the exterior — the interior strikes me at best as a bit too subdued, and at worst a bit dated. Don’t like the cheap gear selector lever with the aluminum trim around it in particular. A hard top would’ve been nice too. The engine on this car needs to go into the Sonic RS or the next-gen Cruze.